Beistle 20169 Jumbo Stocking. 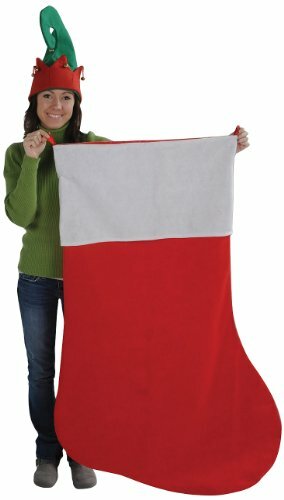 Just in time for the holidays this huge stocking is a whopping 41/2 feet long! Made of red pile plush with a white fold over cuff and double loops for hanging, this is a perfect decoration for any holiday event.